We are proud to offer the best services possible. That is why we gladly offer a Free Water Test to every customer. Contact us now to schedule. You don’t have to let a small budget keep you from getting what you really want or need. 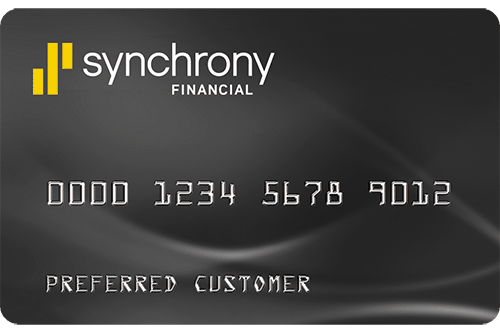 That’s why Puronics® offers promotional financing options when your purchase is made with a Puronics® credit card issued by Synchrony Bank. On purchases made with your Puronics credit card. There is a $29 account activation fee. Fixed monthly payments required for 115 months. 4Monthly interest will be charged on promo purchases from the purchase date at a reduced 7.99% APR, and fixed monthly payments are required equal to 1.25% of initial promo purchase amount until promo is paid in full. The fixed monthly payment will be rounded to the next highest whole dollar and may be higher than the minimum payment that would be required if the purchase was a non-promotional purchase. Regular account terms apply to non-promotional purchases. On water treatment system purchases of $3,000.00 or more made with your Puronics® credit card. There is a $29 account activation fee. Equal monthly payments required for 60 months. 5No monthly interest will be charged on promo purchase and equal monthly payments are required equal to initial promo purchase amount divided equally by the number of months in promo period until promo is paid in full. The equal monthly payment will be rounded to the next highest whole dollar and may be higher than the minimum payment that would be required if the purchase was a non-promotional purchase. Regular account terms apply to non-promotional purchases. For new accounts: Purchase APR is 26.99%; Minimum Interest Charge is $2. One-time Account Activation Fee of $29 charged at time first purchase posts to account. Existing cardholders should see their credit card agreement for their applicable terms. Subject to credit approval. If your application is approved, or, if you are an existing cardholder, the below promotional financing options may be available. Your Puronics® representative will assist you in determining promotional financing option eligibility.